■ Tube repair kit with self-adhesive patches. No vulcanizing fluid necessary. ■ Contains: 10 patches and a piece of sandpaper. 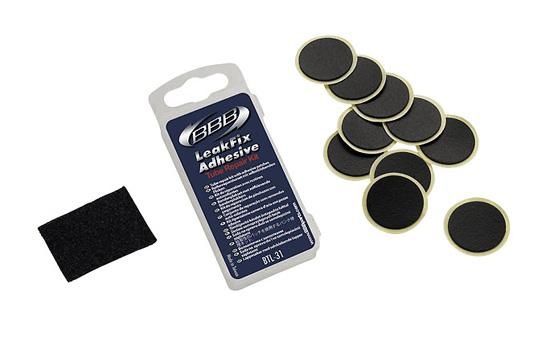 BBB LEAKFIX Bicycle puncture kit patch bike BTL-31. ■ Tube repair kit with self-adhesive patches. No vulcanizing fluid necessary. ■ Contains: 10 patches and a piece of sandpaper.